“Shopping for a Cause”, this 11th annual shopping tournament gathers shoppers in costumed teams of four to shop in over two dozen stores along historic Main Street with special discounts, food, drinks and more. 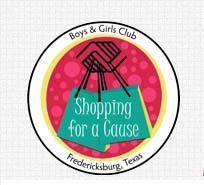 All proceeds go to the Fredericksburg Boys & Girls Club. The day begins with a “Tee Time” breakfast and ends at the “19th Hole Celebration” with food, drink and prizes.